The W900 has long been noted as a classic design because of its nuanced approach to truck building. Whether it’s the interior cabin, build quality, or ride quality, you are getting something all buyers desire out of a modern truck. 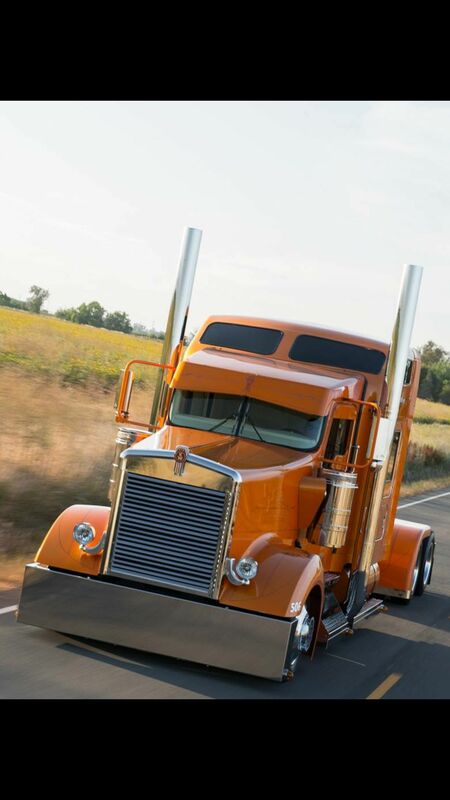 However, it’s time to look into this further with a detailed Kenworth W900 truck review. Does it do enough to warrant a purchase? Here are the pros and cons of this truck and whether it is the best fit for your needs. It all starts with the ride quality and this is one of the major advantages with the truck. It has been designed to provide a seamless ride in all conditions. Too many modern trucks are flimsy when it comes to the ride quality with incessant rattling and noise production. Instead of dealing with these bumps and related issues, the Kenworth W900 provides a wonderfully sound riding solution. Everything is balanced, easy to use, and in line with what you want as a driver. What if you want to sell it later on? Many trucks start to show their age and don’t do well on the resale market. However, this is not one of them and that has never been the case with Kenworth as a manufacturer. Instead, people are willing to buy used trucks at a relatively high price and that is a major plus point to keep in your mind while making an investment. If you are going to be spending money on a new truck, the resale value might be something that has to be thought about for the long-run. In this case, you are going to have no troubles at all in the resale market. The cabin is remarkably quiet because the truck doesn’t produce wind leaks. Those are a major issue with many models and tend to become their downfall. No one likes to drive on the highway with unnecessary wind leaks and/or rattling due to loosely fitted parts. Kenworth always does a good job in this regard and the same applies here. To wrap up the advantages in this Kenworth W900 truck review, it’s also important to remark on the build. The attention to detail and classic look are hard to ignore. You are going to fall in love with the design because it is a winner from the get-go. There are disadvantages to owning the Kenworth W900 and they have to be mentioned in this review. To start, you are getting a heavier hood that is going to weigh down the front. This can cause issues in how the truck does in terms of performance and power generation. It isn’t a major concern but something to keep in the back of your mind at all times. Do you dislike the idea of taking wide turns? The turning radius is a lot wider with this truck and that has to do with how it is designed. You will have to get used to taking your time with the turns. This is something all drivers have to be on top of with Kenworth trucks and the same applies here. The final disadvantage has to be the uneven second step as you enter the cabin area. You are not going to be used to this as most trucks made evenly spaced steps. However, Kenworth has added a longer second step that means you may trip yourself if you don’t pay attention! This is a small inconvenience but one that is still a negative. In the end, this Kenworth W900 truck review illustrates the intricacies of what’s now become a timeless option. It simply ages well and is one of those trucks that get the job done. If you want a well-rounded, aesthetically pleasing solution then this is as good as it gets. It is perfect from top to bottom and the minor disadvantages shouldn’t hinder your purchase. Kenworth is a trusted name and rightly so!